Baskin-Robbins is the world’s largest chain of ice cream stores, and it’s also one of the oldest. There are over 7,000 locations around the world, and the Baskin-Robbins name has been going strong since the end of the Second World War. Baskin-Robbins is not as old as rivals Dairy Queen, but it has a good few years on some of the biggest food and beverage chains in the world. The countless flavors of ice cream created by Baskin-Robbins have also helped to shape this industry, introducing new possibilities, opening new doors and giving customers endless options. Baskin-Robbins is owned by Dunkin’ Brands, the same group that owns Dunkin’ Donuts. With the might of these two popular brands behind it, this company has become an unstoppable force in the quick-service food industry. Together, they have more combined locations than Burger King, Pizza Hut, Taco Bell and many more. A cup of Soft Serve from Baskin-Robbins. 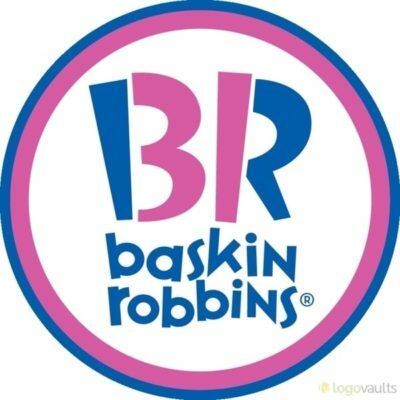 Baskin-Robbins was created in 1953 following the merger of two ice cream chains (one of which had existed as far back as 1945). Burt Baskin and Ivy Robbins were the men behind the brand, and they opened their first location in Glendale, California. Both of the original ice cream parlors owned by these two men offered an extensive list of flavors. This was unique at the time, as only a handful of flavors were available from competing brands. When the merger was complete and the flavors were combined, they had even more to offer and were able to use this to corner the market. By the 1960s, Baskin-Robbins had enough experience and financial clout to venture into the international marketplace. They were one of the first US chains to do this, and the Baskin-Robbins brand continued to grow until the latter half of the 1960s. In 1967, the two former owners sold up. The brand has changed hands several times since then and, as mentioned above, it is currently under the control of Dunkin’ Brands. A colorful treat from Baskin-Robbins, released during Halloween. This is a big cup of creamy, soft-serve ice cream served with your choice of toppings. It bears many similarities to the Blizzard from the Dairy Queen menu and the McFlurry from the McDonalds menu. Some of the most popular flavors include popular candies, cookies and chocolate bars like M&Ms, Oreos, Reese’s Pieces, Butterfinger and Cookie Dough. The perfect treat for a hot summer day, a Baskin-Robbins Sundae comes loaded with all kinds of toppings, syrups and delicious ice-cream. Many of the flavors are the same as what you can find on the Soft Serve Below. You can also opt for something a little more traditional, like a Banana Split. If you want to keep it simple, there are also smaller ice creams available, which you can load into a cone or a cup. Choose your flavor, pay for a Quart or a Pint, and then take your own Baskin-Robbins ice cream home with you. This ice cream freezes well. But if you want to retain that light airiness, then it’s best eaten straight away or after spending a short time in the freezer. As well as some standard soft drinks, Baskin-Robbins also sells a selection of smoothies and shakes. You can even order an Iced Cappy Blast, somewhat similar to the iced coffee drinks found on the Tim Hortons menu and the Starbucks menu. One of the slogans Baskin-Robbins have used repeatedly is “31 Flavors”, which ties in with marketing slogans that have suggested there is a flavor for each day of the month. The truth is there are many more flavors available. In fact, since they were founded back in 1945, there have been over 1,000 flavors on the menu. These include all kinds of limited edition flavors, flavors that are only available in certain locations and flavors that were only available during certain holidays. Many of these flavors have since disappeared. But some still exist on the Baskin-Robbins secret menu. This is not the biggest secret menu on this site. Chains that don’t sell hot food tend to have fewer options in that department. However, this is countered by the fact that there are so many Baskin-Robbins locations around the world and it has existed for so many years. Both of these factors ensure there is always a trick to exploit or a discontinued menu item to rediscover. So, if you want to increase those “31 flavors”, then take a look at the Baskin-Robbins secret menu. You should also peek at the Dunkin’ Donuts secret menu and, if you want something just as sweet but a little healthier, then click onto the Jamba Juice secret menu. A selection of ice cream sandwiches from Baskin-Robbins. If you’re on a diet, you might have a hard time resisting these. But one couldn’t hurt…could it? There are not many healthy options on the Baskin-Robbins menu. This is frozen cream and sugar, it’s not exactly health food. Still, everything is okay in moderation, and if you opt for the smaller servings and don’t load-up on chocolate chips or candy pieces, then you can limit your calorie intake. If you want to stick to healthy options, then you can order from their smoothie menu instead of their ice cream or sundae menu. The smoothies contain an assortment of blended fruit and vegetables. There is still a lot of sugar in these, but it’s all natural sugar. If you want to tally up the calories and sugar in each Baskin-Robbins menu item, then click onto our Baskin-Robbins Nutrition Info guide. This contains all menu items and lists the sugar, calories and fat for each one. it is updated regularly, and we have covered as many flavors as possible. This is high-quality, soft-serve ice cream at its very best. But it’s also very cheap. Their Soft Serve Below, which can be ordered with all kinds of toppings, costs anywhere from $2.50 to around $7, depending on the size and the type. A Cup & Cone is a little less, but you will pay more for one of their Sundaes. Many customers visit Baskin-Robbins to buy a quart of ice cream. If this is what you have in mind, then you can choose any one of their many flavors and get change on $10. To see more Baskin-Robbins Menu Prices, just read our guide. This comes complete with updated tables, showing you just what you can get for your money at this world famous ice cream parlor. A counter and a selection of menus at a Baskin-Robbins location. There are more than 7,000 Baskin-Robbins locations around the world. This includes close to 5,000 chains in the United States. These can be found in all 50 states, as well as many oversea’s territories. Baskin-Robbins also exists in over 50 countries, which means it has one of the biggest reaches of any US-based brand. Many of these locations are co-branded with the Dunkin’ Donuts name, although DD have a good 40% more locations than Baskin-Robbins do. Many of the big chains work hard to ensure their food tastes the same in one location as it does in the next. Baskin-Robbins are a little different though and while you can find many of your favorite flavors in all of their locations, you will also find a few novel extras. That’s because Baskin-Robbins create unique flavors for each country they are in. As an example, some of their eastern locations have “Green Tea” flavor, while Red Bean flavor and Cantaloupe flavor exists in many of their tropical locations. From Sunday through to Thursday, Baskin-Robbins opens at 12:00pm and closes at 11:00pm. On Friday and Saturday, it remains open a little later, often until midnight. These times apply to most locations, but they can vary depending on the location and these times are also subject to change during the holidays.